The AHIMA Foundation is expanding its registered apprenticeship program to include an inpatient coding auditor role based on recent employer feedback. Registered apprenticeship, a proven strategy, ensures quality workforce readiness training by combining on-the-job learning with hands-on instruction to prepare exceptional workers for American industry. The process of apprenticeship program registration is designed to ensure that working apprentices, program employers and the public can gain a clear understanding of the training content and that measures that are in place to ensure ongoing quality. The increase in regulatory audits, downgrading MS-DRGs under ICD-10 and an increase in denials are drivers of impacting the growing need for this role. In-patient coding auditors bring knowledge of code validation and accurate MS-DRG assignment, classification of coding and denial issues and the ability to analyze audit results in order to track and trend overall improvement and resolution. Employers can now choose inpatient coding auditor from the six available roles helping to build a stronger and more experienced health information workforce. “Our new Inpatient Coding Auditor role will help our apprentice increase the revenue and improved data quality of their employers because nothing will be misplaced or delayed,” said Keith D. Terry, interim executive director of the AHIMA Foundation. Now is the time for organizations to join the AHIMA Foundation program to expand apprenticeships in healthcare and meet their talent needs and to stay competitive. The registered apprenticeship program can be an effective component of an employer’s staffing strategy and a talent development pathway for workers to gain additional skills and credentials. The AHIMA Foundation offers a free webinar for those wanting to learn more. The AHIMA Foundation is completing year four of the five-year American Apprenticeship Initiative grant from the US Department of Labor (DOL) to support the expansion of registered apprenticeship programs into career pathways to meet employer needs, particularly into new fields like health information management. The AHIMA Foundation has been working with the DOL Office of Apprenticeship in addition to state apprenticeship agencies to help employers work through the process of creating and sustaining their registered apprenticeship programs. 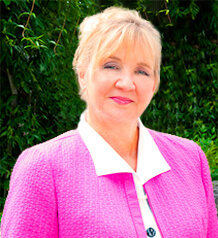 Guest post by Lindy Benton, president and CEO, Vyne. The world of denials management is a constantly shifting landscape, one that has changed dramatically with the onset of ICD-10. Now more than ever, denials management requires an organizational focus with built-in workflows for prevention, monitoring and tracking of claims through the system. In the years leading up to ICD-10, providers were apprehensive about the potential drain it would place on both resources and reimbursement. CMS predicted that – with the onset of ICD-10 – denial rates would increase by 100 to 200 percent, days in A/R would grow by 20 percent to 40 percent and claims error rates would more than double. CMS warned that error rates could reach a high of 6 percent to 10 percent, significantly higher than the 3 percent average error rate with ICD-9. Providers also feared cash flow problems stemming from coding backlogs, expected to increase by at least 20 percent because of the complexity of the new coding system. “A typical turnaround time for claims processing of 45 to 55 days could end up being extended another 10 to 20 days,” cited Healthcare Payer News. And the change has been momentous. With ICD-10, the number of diagnostic codes increased from 13,000 ICD-9 codes to 68,000 ICD-10 codes. The new system challenges providers to document conditions more specifically, supporting codes with thorough and accurate medical documentation. Despite the gravity of the change, many providers say it has been a smooth transition thus far, with minimal delays in productivity and reimbursement. But as the industry moves through this period of adjustment, providers must continue to seek opportunities to protect revenue and generate cash flow for a successful claims management strategy in the wake of ICD-10. ICD-10 requires an organizational focus around the management, prevention and defense of denials. Denials management is no longer an effort reserved just for the revenue cycle but for all departments. For coding to complete a claim, pieces of information must be collected from multiple areas across the organization. For this reason, all departments should be educated on the part they play and how cross-department collaboration can aid the process. Workflow processes are also critical as hospitals work to achieve accurate coding and get bills out the door. Technologies that streamline hand-offs between departments can help reduce bottlenecks that often delay reimbursement. A work queue keeps denials moving, assigning and tracking accountability at each checkpoint and monitoring progress to ensure no claim falls through the cracks. Guest post by Lea Chatham, editor-in-chief, Getting Paid, a Kareo Resource. Patient engagement has been the hot topic of this past year or two. Everyone agrees that engaging patients more in their healthcare can help reduce costs and improve overall health. A study conducted by HIMSS in 2015 showed that the majority of physicians believe patient engagement is beneficial and should be a part of their job. However, the study also concluded that over 40 percent of physicians worry that there is little reimbursement for engagement activities. Patient are looking for more ways to connect with providers from online scheduling to text reminder to email follow ups and social media. And while many see these as conveniences, the reality is that they do also improve health and have the potential to reduce costs. Studies have shown that simple follow up communications via text and email can help ensure patients show up for appointments and can reduce hospital re-admissions, which has a big impact on healthcare costs. Unfortunately, physicians are already stretched thin trying to care for patients, run their practices, adhere to complex programs like meaningful use and PQRS, and navigate changes like ICD-10. Who has the time to do more? And many providers worry that “engagement” means more work with less reimbursement. But it doesn’t have to be that way. In fact there are many opportunities to automate engagement and provide the tools patients want without adding any time or effort to a provider’s plate. Today, there are solutions that once set up enable easy online scheduling, text and email reminders, follow up patient surveys, and even re-care programs. This infographic highlights some of the feelings of both patients and providers feel about patient engagement and shows how practices can utilize engagement strategies that benefits both and do have a financial return. These are some of the most out of the ordinary medical codes you might come across if you worked as a medical coder. If you’re a patient and see these on your bill, you might raise an eyebrow once you find out the meanings. Check out the following graphic for all 15 unusual codes. If you are interested in being a medical coder, the average salary is $47,870. The job outlook has a 21 percent increase by 2020. Eighty percent of medical coders have some postsecondary education. Medical coders work in both clinical and non-clinical settings, some of which are hospitals, physician offices, long-term care facilities, dental offices, mental health facilities, government agencies, and insurance companies. Graphi provided by Topmedicalcodingschools.com. Guest post by Amy Sullivan, vice president of revenue cycle sales, PatientKeeper. Still one has to wonder what will happen after Oct. 1, 2016, when the current leniency expires and ICD-10 code specificity is required. Will physicians be in a position to enter their charges completely and accurately once “in the general neighborhood” coding no longer suffices? They will if their organization has invested in technology that adheres to best practices in electronic charge capture system design. The three watch-words are: specialize, simplify and streamline. 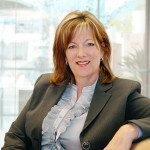 Guest post by Michele Hibbert-Iacobacci, CMCO,CCS-P, vice president of information management support, Mitchell International. Recent ICD-10 end-to-end testing conducted by CMS and the American Medical Association yielded an 87 percent claim acceptance rate. This means that of the 29,286 test claims received, only 25,646 were accepted. Imagine thousands of claims denied due to providers submitting improper codes, stalling the bill review process and creating pain for everyone involved. The one percentage drop in claims accepted from the month prior is a poor indication for the months ahead, as 100 percent of the test participants claimed to be fully ready for the October 1 ICD-10 implementation date. It’s only logical that many carriers and providers wonder what will happen to those that aren’t ready. The end-to-end testing results also raise complicated questions: Which ICD-10 codes will be seen most frequently post-implementation date? And will these codes match what providers will put on the bills they send? It’s no secret that ICD-9 has a lot fewer codes than ICD-10 and a situation is simply less complicated with less contextual data to worry about. As a result of the influx of new codes presented by ICD-10, we can expect to see providers assigning way more codes than necessary to bills in a pin the tail on the donkey-type attempt to choose the right code. For example, there are ten codes for a fracture to the tibia in ICD-10, as opposed to one in ICD-9. So many options may lead a provider to place all ten on a bill, to ensure payment is received. It will be challenging for untrained providers to submit the correct ICD-10 codes, and as such, productivity will decrease alongside increasing reimbursement challenges and potential claim denials. Carriers, on the other side, will be forced to conduct extensive reviews of each bill to determine the actual injury cause and appropriate code. To handle the huge influx of ICD-10 codes, providers can design a system where the office coders are provided with quick references to the most prevalent codes used in the practice. Over time, the overall billing experience will improve as coders become more skilled in identifying proper codes and carriers become more precise in reviewing bills. At first, carriers will be tolerant toward the reporting of multiple or vague codes. However, with each passing day post-implementation of ICD-10 carriers will become increasingly strict. Providers will be required to submit correct coding pending the value provided by the classification system accurately describes patient conditions. Every time a person seeks medical treatment, healthcare professionals are required to use a specific code for billing and tracking purposes. The International Classification of Diseases, Revision 10 (ICD-10), was launched Oct. 1, 2015 — after 20 years of delays. The new ICD-10 codes multiply the medical coding options available by a factor of five, jumping from roughly 13,000 diagnostics codes under the ICD-9 to more than 69,000 with ICD-10. ICD-10 attempts to label every possible diagnostic scenario imaginable. Whether you’ve had an initial encounter with an orca whale (W56.21XA, W56.22XA or W56.29XA) or an unlikely repeat orca encounter (W56.21XD, W56.22XD or W56.29XD), been injured by a brass musical instrument (Y93.J4), or walked into a wall (W22.01XA, W22.01XD or W22.01XS), believe it or not ICD-10 has a classification for it. Don’t believe us? Take a peak for yourself. Check out the ICD-10 Code Lookup Database or you can just look at the entertaining graphic below provided by Quill.com. The graphic illustrates 14 funny examples of ways people injure themselves and how ICD-10 classifies them. A personal favorite? It has to be V91.07XA: Burn because of to water skis on fire, initial encounter. It’s easy to wonder how this happens once, let alone more than once, V91.07XD: Burn because of water skis on fire, subsequent encounter. Take a look at the following graphic depicting some of the most bizarre ICD-10 codes, thanks to and provided by Quill.com. What will these codes, when aggregated over the next few years, say about us as a people? That we’re likely into, and injured by, some pretty weird stuff! Perhaps I’ll write a book. It’s here. The day has arrived. The biggest thing to happen to the administration of healthcare in decades is upon us: Today is ICD-10 conversion day. Take a breath. Stretch your legs and try to find some joy in the tumultuous trip. You’ve earned it. It’s been a long ride. But the trip is not over yet. Like all road trips, there’s the way back. And that, too, is a long road ahead. There’s still much to see and do, and much to prepare. Much to look forward to on the road ahead. For a minute, though, on perhaps the most important day, why not take a moment to reflect on the journey and congratulate yourself on a job done well, which you’ve done with integrity and professionalism, in which you have been filled with excitement and glib, where you’ve experienced pain, pressure and perhaps even a little joy as you pushed yourself to the max. Many of us never thought this day would come. Some of you hoped it never would. Now, thankfully, we can move on to a new goal, a new destination. A moment of silence is deserved, if not required. Though ICD-10 is upon us and there is little, if anything, that can be done at this point other than wringing your hands in disbelief or praying for peace with the patience of a saint (depending on your religious worldview and personality), we wait for the storm to hit, then pass and roll on a bit for a time. And it will pass. The storm will dissipate. For some reason, when I think of the current state of ICD-10 and its impact to healthcare I’m reminded of a hurricane. The analogy of a hurricane seems like an apt example of the phase healthcare currently is in in regard to ICD-10. The road here has been long – there has been much fear and anticipation of the coming storm. Surges of energy, wind and waves have met us and battled at the banks of the beach. The wind and thunder has been loud, the elements seem to have shaken the very foundation of our lives and our “homes.” Pain, fear, struggle and stress have been the order of the day. But at last we’re here. The storm is upon us, in fact it is half over, and we stand in its eye, one of the most beautiful and peaceful times one can ever experience. Peace, calm expectation and a subtle excitement of the storm’s beauty are in the eye, as is anxiety of the anticipation of what’s to come — the second half of the storm. Having personally stood in the eye of one of the largest hurricanes on US record, and having survived one of the most terrifying storms of my life, I can tell you that the eye of the storm is a brilliant, calm and peaceful place in what is actually an extremely deadly and dangerous place to be. However, when the eye passes, the storm rages again, even more fierce than the penetrating force of the first half of the storm. Again, there’s more fear; more stress; more panic. Finally, the storm passes, slowly and subtly. The wind disappears, the sun breaks free and among the chaos, birds sing with striking clarify and beauty. It’s as if their songs are the only remaining sound because the storm has sucked all else away. Their song is an encouragement as you assess your losses and determine the first steps required to put your life back together. Certainly, ICD-10 is not deadly, nor is it as dramatic as surviving a killer storm, but the process has been stressful, and painful and chaotic for millions. We’re in the eye, half way between beginning and end. Much has happened, but there is still a great deal more to come. I image that’s how many of you are feeling today; trying to ride out the storm — in peace, in fear or maybe a combination of the two. So, on this occasion, as we wait, I thought I’d provide a few final thoughts about ICD-10 from those working alongside you, in the trenches, who are also weathering the storm. Hopefully these insights provide you some peace, and help you get through this stressful time. With the transition to ICD-10, we expect three types of industry disruption occurring at different times. First, starting in the first few days after the Oct. 1, 2015 cutover, when providers start transmitting claims containing ICD-10 codes (between 10/3 and 10/10), we predict that providers that chose to ignore the ICD-10 mandate will receive a monumental wake-up call when clearinghouses and payers immediately reject their ICD-9 coded claims as non-clean HIPAA transactions. We believe that most of the nonconformists will be smaller, rural professional providers and small practices. They will scramble to get ready in short order if they wish to be paid for their services. Second, by mid- to late-October, providers will start receiving payments based on claims submitted using ICD-10 codes. Most professional claims are reimbursed based on the CPT/HCPCS codes and therefore are not susceptible to payment shifts. Institutional claims are paid via a wide range of reimbursement mechanisms, mainly due to combinations of both ICD-10 diagnosis as well as procedure codes. 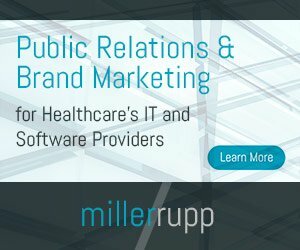 ICD-10 testing between providers and payers illustrates that four out of five payment disputes are because of poor coding accuracy from the provider. We see an increase in phone calls to payers and an elongated revenue cycle collection timeframe. Third, throughout 2016, we see overall data quality issues emerging as the industry stabilizes and acclimates to the new code set. Although CMS relaxed coding accuracy requirements for Medicare fee for service claims, commercial payers have not followed suit. Be prepared for an increase in chart reviews and ongoing adjustments to previously paid claims. Coastal Orthopedics has been serving the coastal South Carolina region for more than 30 years, and has helped countless members of our community regain and maintain a full quality of life. In those years of serving our community, ICD-10 has without a doubt been one of the biggest challenges that our practice has faced to date. With major overhauls to our practice workflow and ultimately our ability to provide the best care to our patients on the horizon, we set out early to meet the demands of the ICD-10 transition proactively. The success of our transition to ICD-10 has been two-fold. One: our software partners (SRS Soft EHR and Allscripts Practice Management) have continued to deliver exceptional tools that have allowed our practice to leverage the power of healthcare information technology to expand our ability to provide exceptional care exponentially. Two: The dedicated staff and physicians of our practice, who truly love getting to be a part of helping our patients live their best life, have invested countless hours of preparation into being sure that our patients continue to receive only the best care. After months of updating our office systems/processes, working with care partners across the community, working with our software partners to fine tune our systems, and working with insurance companies to ensure that our patients get the most of their benefits, we’re ready to take ICD-10 head-on. October 1st will be just another day of providing exceptional orthopedic care to our community for Coastal Orthopedics. The day before, the day of and the day after ICD-10 goes live, it will be too late. But, as we get closer to ICD-10 go live, there are some final preparations that you can do before it does, and some remediation that can be done post go live. Physician practices and hospitals can focus on the procedures and visit types that drive their practices. We call this focus, the Codes that Matter. A very small percentage of procedures and visit types drive 95 percent of revenue so focus on those key areas to protect your revenue. In addition, the physicians and hospitals need to take a snap shot of financial and revenue cycle performance prior to going live. This is especially critical at this point. The hospitals and physician practices have to know where they are today so they can effectively evaluate their financial and revenue cycle performance post go live. Financial “fire drills” need to be conducted to practice and prepare for revenue cycle impacts. How to prevent 10 percent to 15 percent revenue hits? If we see those issues arising, how do we quickly address and how do we rapidly deploy teams to close the issues. Waiting until the day before, similar to cramming for the test will not work well for the October go-live. There are a couple of things listed above that can still make a difference so the time is now before the die is cast.